The family of murdered Mablethorpe man James Rudd have made an emotional tribute to him. James Rudd, 36, died from a stab wound after police were called to the incident in Victoria Road at around 1pm on Bank Holiday Monday. The family of James Rudd have today, Monday September 4, paid tribute to him: "Jamie, to us, was a loving partner, son in law, father to three beautiful children, a brother and a son. "He will be dearly missed. Rest in peace Jamie". 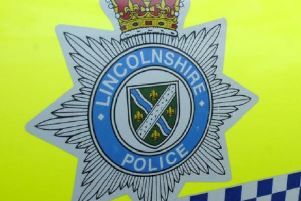 James Patrick Adam, 46, of Victoria Road, appeared at Lincoln Magistrates’ Court last week charged with the murder of Mr Rudd. Wearing a grey jumper and blue jeans, Adam spoke only to confirm his name, address, and date of birth. It is alleged that Adam murdered Mr Rudd in Mablethorpe on August 28 this year. Magistrates adjourned the case for Adam to appear at Lincoln Crown Court. There was no bail application, and at the end of the two minute hearing Adam was remanded back in to custody to appear at Lincoln Crown Court on Friday September 29 for a plea and trial preparation hearing.